Making sure your little ones are getting all of the nutrients they need can be a challenge at times – especially when they are clamoring for sweets and junk food. The Children’s Hospital of Michigan Foundation is here to help. 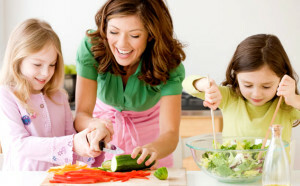 Try these 5 tips on how to get your kids to eat healthy foods and hopefully, meal times will be a bit easier.